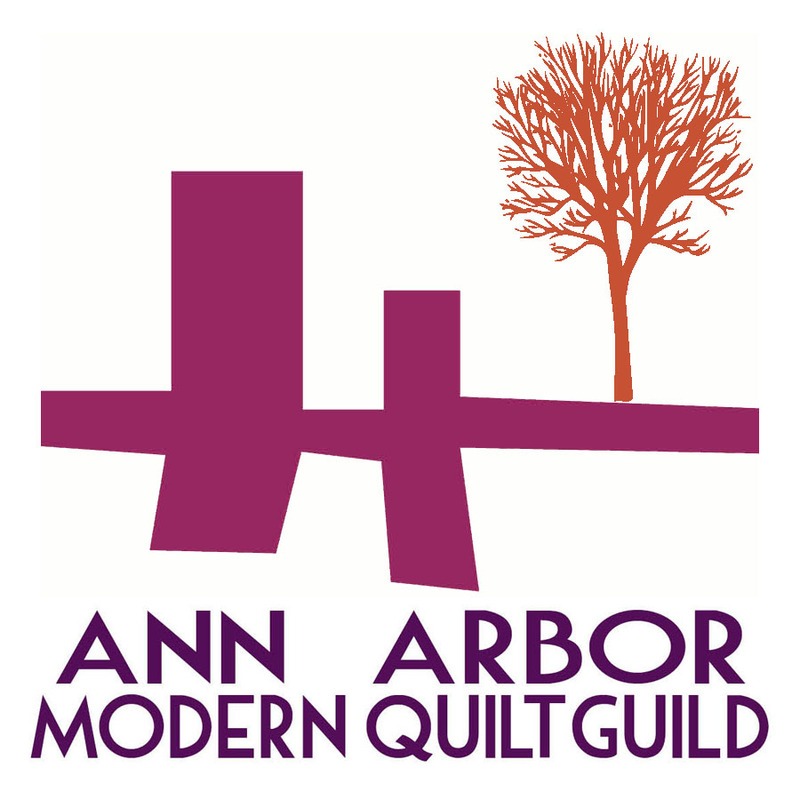 This is my technique for joining nonuniform pieces together to form a workable rectangle when making a quilt. 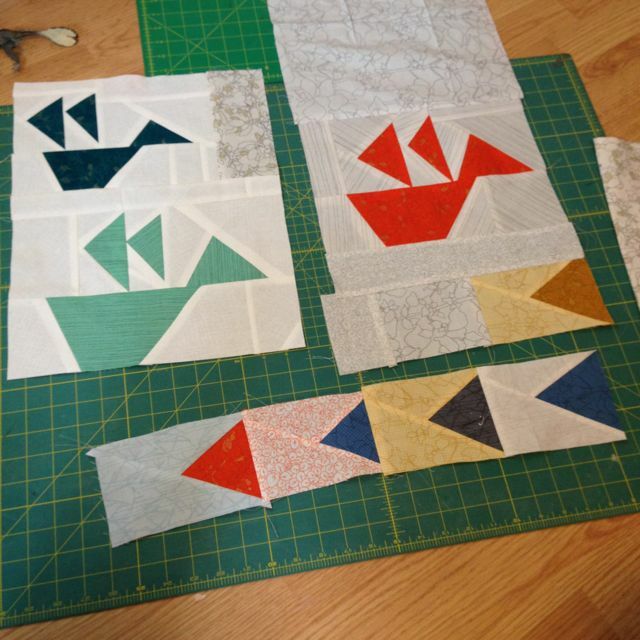 I want to show you how I started combining my birds and triangle blocks together to make large rectangles that could be pieced together for Folded Flock. 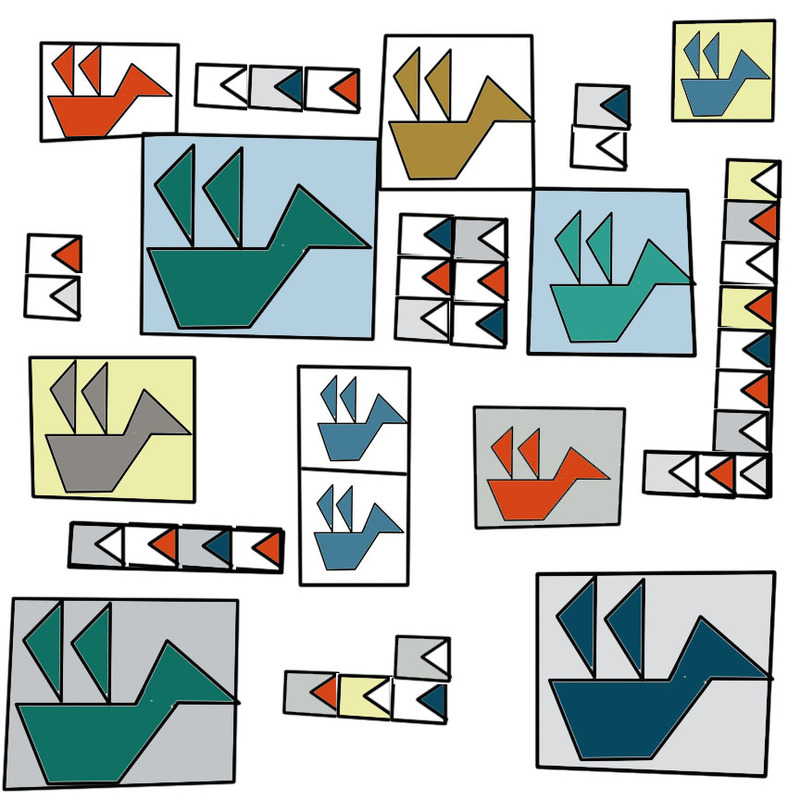 Here is a group of three birds and a cluster of triangle blocks that I wanted to piece together. 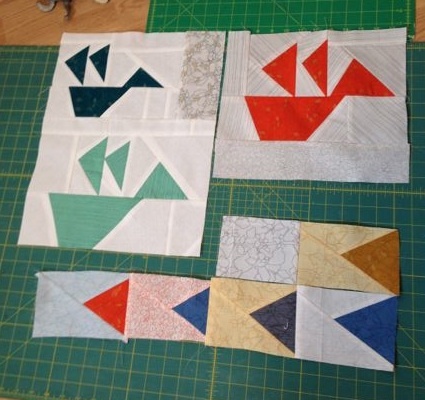 I already joined the dark blue and the minty colored birds, adding a strip of fabric first to the right of the blue bird so it’d be the same width as the mint. 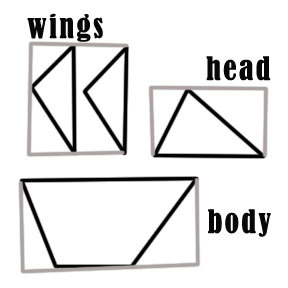 I also added a strip of white between the two birds so they would have a bit more space to soar. 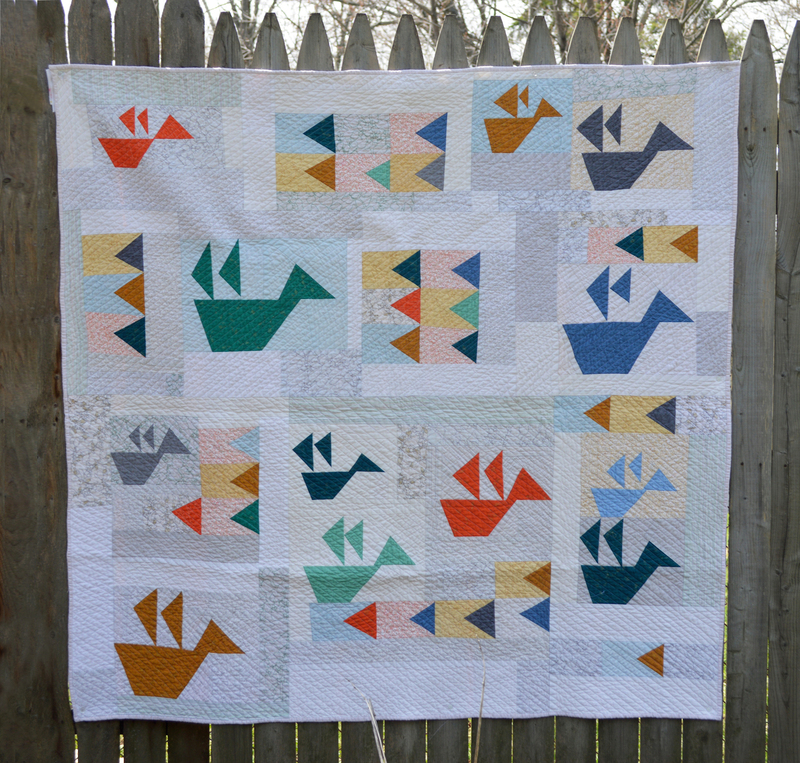 With an intention to stagger the birds and to ensure that the lower row of triangles could fit flush beneath the mint bird, I added fabric to the top of the orange bird and additional fabric to the yellow triangle set. 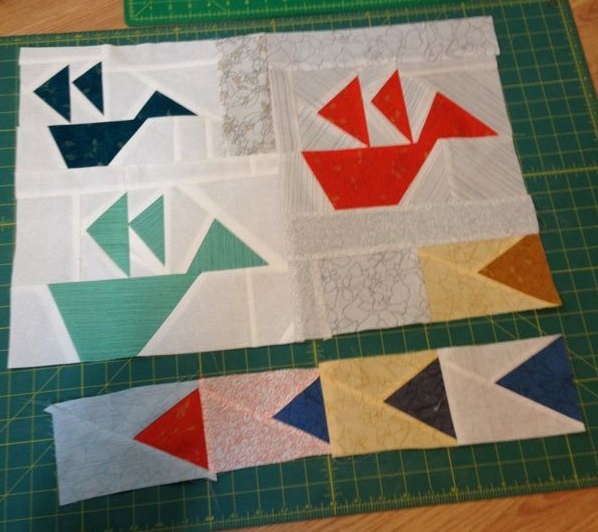 I joined the orange bird with the yellow triangle base to the other birds and trimmed the fabrics. 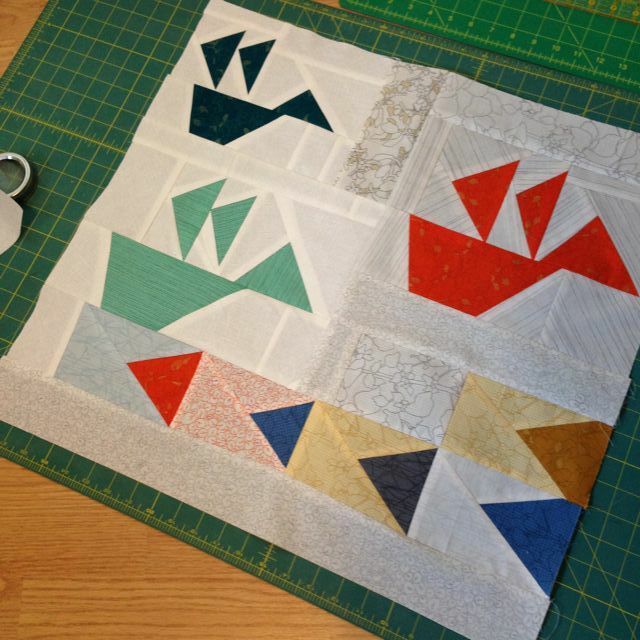 When joining these pieces, I looked for places where I could match seams. The below aligned perfectly because I am good with the cosmos and luck is sometimes on my side. 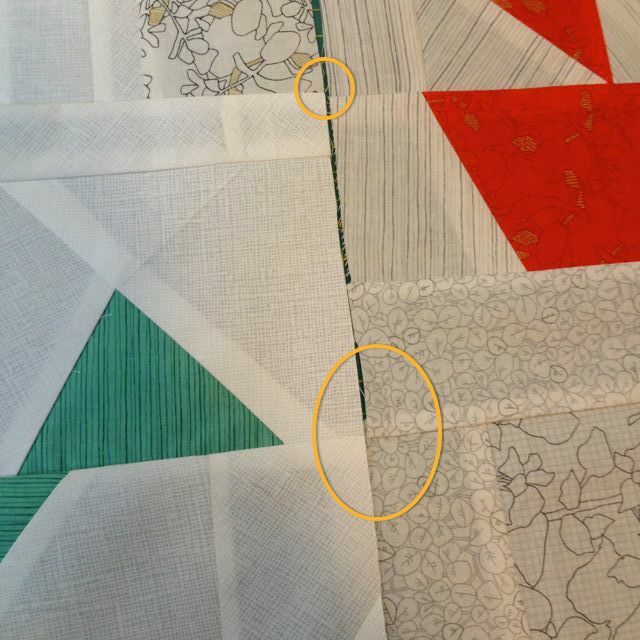 I learned from Amanda Jean of Crazy Mom Quilts that having seams either match or decidedly NOT match (meaning 1/2″ or more “off”) is the best way to ensure an eye-pleasing quilt. I needed to add a bit more fabric to the bottom row of triangles, and I matched the seams so that the white and blue triangle block could align directly below the yellow and yellow block. An additional strip of fabric was joined to the bottom. Lots more information can be found in my original post here. So there you go! 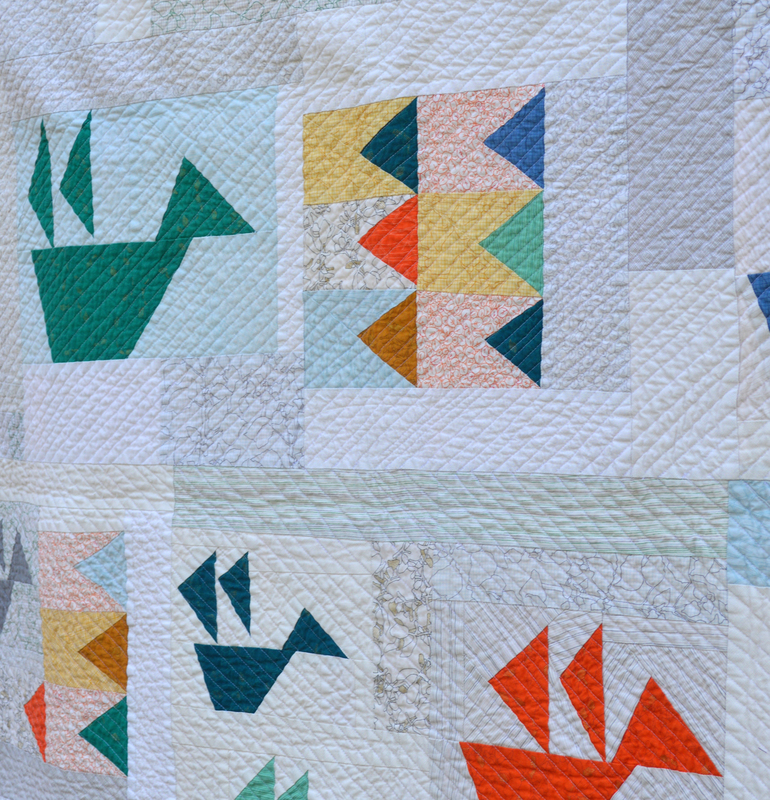 This quilt was designed with the intention that I would be adding light printed fabrics to my original pieces in order to join my elements together as a whole, and this is how I did that!